Former Foreign Secretary David Miliband spoke earlier this week to the head of the University’s Department of Politics and International Studies David Runciman, on the Talking Politics podcast. In this week’s episode, Miliband, who is currently President and CEO of the International Rescue Committee, discusses his new book, Rescue- Refugees and the Political Crisis of Our Time. In addition to conversation about climate change, Brexit, and the failures of the Blair government, Miliband explains what the refugee crisis can reveal about the state of world politics, and comments on the difficulties of social democracy in an “age of extremes”. Miliband also answered questions directly from Varsity. In light of Miliband’s statement in a TED Talk earlier this year, where the ex-labour politician stressed the importance of voting for politicians who would put into practice solutions to aid the refugee crisis, Varsity asked: if the current Labour opposition were in power, do you think that they would help solve this problem? 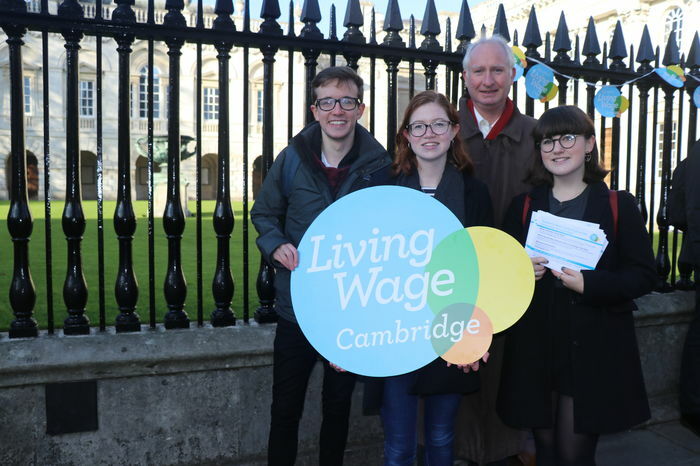 Several Cambridge students have embarked upon initiatives to make their own positive impact on the refugee crisis. As Varsity reported earlier this month, Tiara Sahar Ataii, a second year languages undergraduate at Robinson, set up ‘SolidariTee’, a national fundraiser and campaign which supports refugees with legal aid in camps across Greece. The campaign, which is projected to raise over £30,000 includes participants from universities across the UK, including Edinburgh, Oxford, Imperial, UCL, Bristol, Liverpool, Leeds, Durham, Exeter and Manchester. Students have been buying and sell custom-made ‘SolidariTees’ to wear on the ‘Day of SolidariTee’ which this year, falls on Friday 24th of November. The £10 cost of a t-shirt is equal to one night of accommodation for a human rights lawyer in Greece. T-shirts will be available to purchase on Friday 24th at the University’s Sidgwick Site and on King’s Parade.